1. After theme purchase, you need to download it. Simply log into your account, go to your downloads and locate your theme. Click on the download button and select the “Installable WordPress file only”. This will download the zip file for your theme. Make sure you select the “Installable WordPress file only” option. This is theme correct zip file. If you will download “All files & documentation” it will download zip pack, inside you will find, theme zip file, documentation, demo data and other helpful files, in this case you will need unzip full theme pack and install theme zip.If you will install wrong file, you will get "stylesheet error" in WordPress installation, make sure that you install correct files. 2. After downloading correct files log in your WordPress and make sure that your WordPress is up to date. Then goto appearance > themes > upload theme > and upload correct files after that activate theme, by pressing "activate" button. 3. Then you will see a message with required plugin installation, press install plugins. Select all checboxes and press install then activate plugins. Now your theme is installed correctly and all plugins installed and activated. Plugins installation troubleshot info: If you can not install and activate all plugins at once, you need to install and activate plugins one by one, not all at once! 4. You can also install theme via FTP. Use free software for this task - FileZilla. Download theme files zip, unzip it and upload theme folder to your server using ftp to location: wp-content > themes . 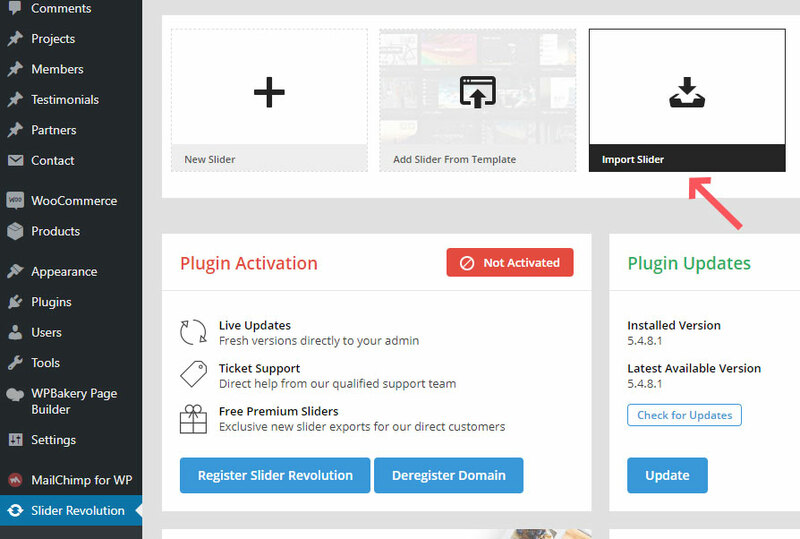 Now new theme will appear on your wp admin panel > appearance > themes > activate it, and do the same actions, as we did above. 1. After theme installation you need to import demo data to have starting point for website creation. With our themes it is very easy to do, just one clik. Goto wp admin panel > appearance > import demo data > and press the button. All your demo data will be imported, this may take several minutes. 2. Then you need to import revolution slider data separatelly. 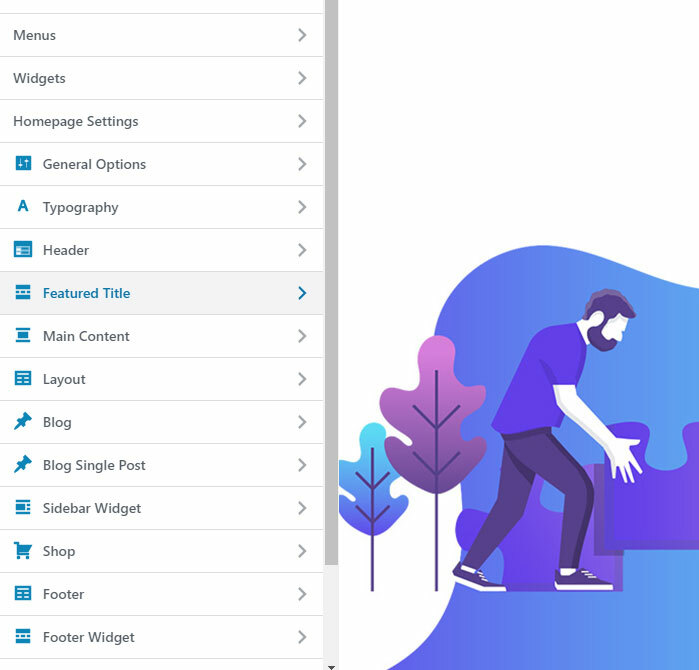 Download theme full zip pack from themeforest > unzip it > you will see "demo" folder > open it and inside you will see slider.zip files or files. 3. Import that files to wp admin panel > revolutions slider >import. After doing this you will have exact copy of demo on your website. 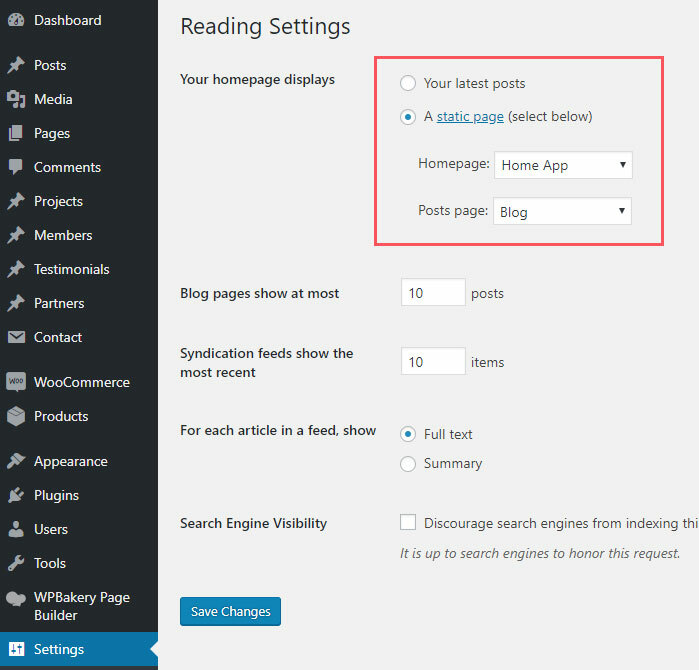 By default in WordPress front page looks like blog archive page, to change it you need to goto wp admin panel > settings > readings > and you will see options to place blog page and front page. Switch to "static" page and place correct homepage and blog page that you need. The theme includes tons of easy to use options to customize the design of your site. Most of your theme options can be found in the live WordPress theme customizer. Theme uses only native WordPress functions, os you should be familiar with the way the Customizer looks and works. Simply navigate to Appearance > Customize to make changes to the design of your website.There you can find all options to change anything in theme, it is easy and intuitive. This is live customizer, so all changes you can see at once, without saving, then when you like result, save. 1. In theme you have option to choose different menu versions for each page separatelly and for whole website as well. 2. To choose header version to exact page you need to goto page editor, and in page extended options choose your header version. 3. 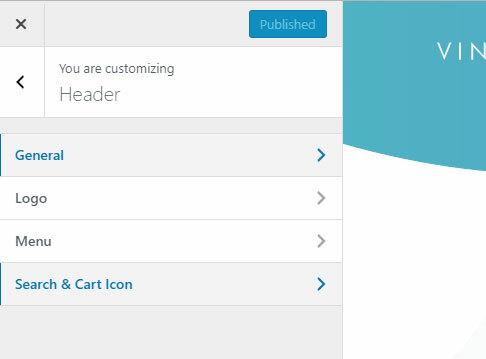 Then to edit only that header version you need to goto theme customizer ( wp admin panel > appearance > customize ) navigate to the that page from your primary header website menu. Now in customizer you will edit only that header version > goto customizer > header >and you will see a lot of options to set. 4. If you want to edit another header version, choose another header version on page extended options, navigate to that page with enabled customizer and you will edit another version of header. 5. To set general header version to website, for pages like blog, custom post types and other, where you don't have page extended options. You need to goto customizer > general options > header site > and to choose your header version. You can also enable fixed / sticky menu from here. 1. Creating menus. 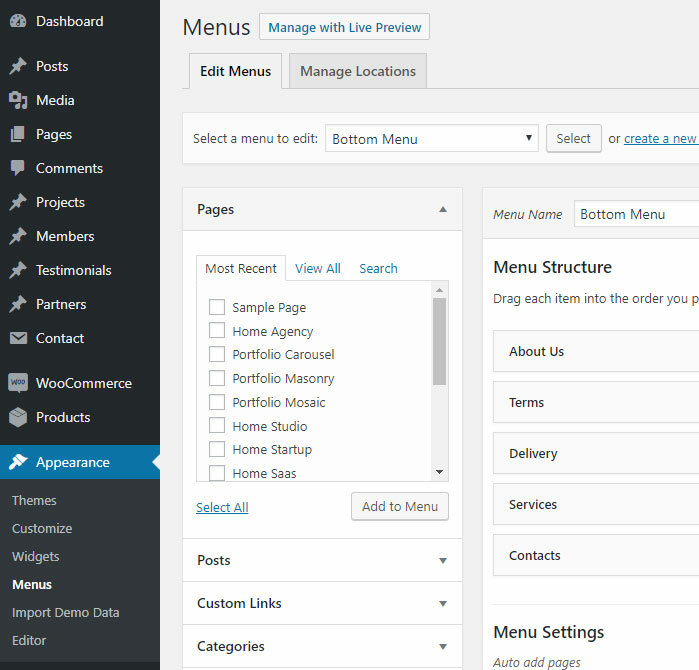 To create or edit existing menu you need to goto wp admin panel > appearance > menus. There you will see options to create menus, create menu items, manage menu locations ( assing exact menu to different locations ). 2. Adding pages to your menu. To add page to menu simple choose the menu you want to work with, then in left part you will see pages, links, posts, and much other things to add to menu, select the item you want to add to menu. After adding item to menu you can drag and drop your menu items to organize menu the way you want. Note that some options are not visible, so enable all options for menus, you can chack it in scree options in the very top of your screen. 3. Working with megamenus. To set megamemu for your menu item, you need to enable "css styling" checkbox in "screen options". 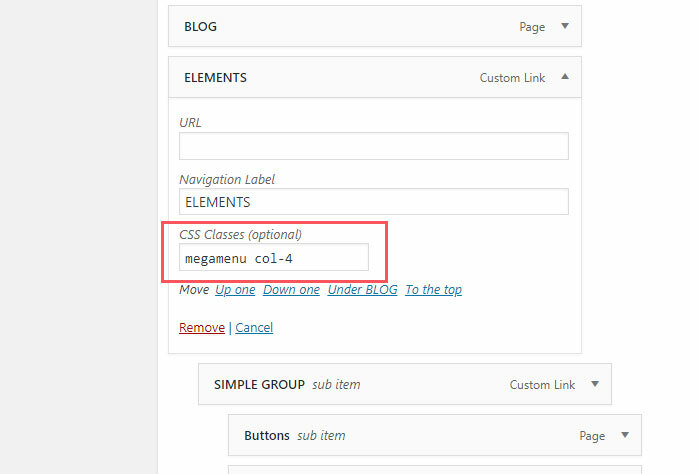 Then simply add class with "megamenu col-4" to make simple menu to megamenu, you also need to have menu items inside that megamenu to make it work. You can also change column number in css class. 1. Theme comes with one page functionality inside. 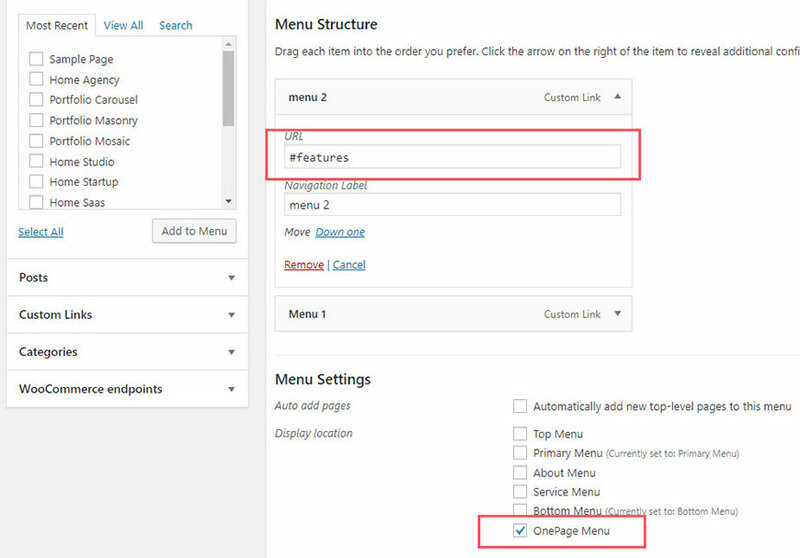 To make one page created you need to goto wp admin panel > appearance > menus > and create new menu for one page, when creating menu you need to link to ID, example of link: "#features" Here you need to use # symbol. 4. 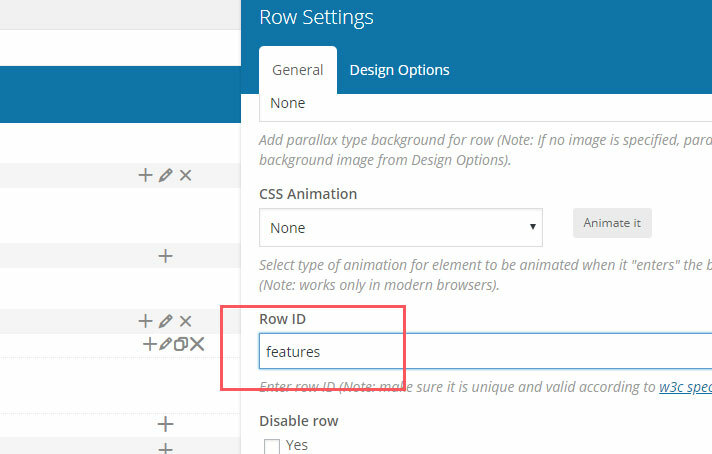 Create row or another section with WPBakery page editor where you can set ID and set ID that you placed to your menu. Example: "features" Here you need write ID without # symbol. To work with widgets in sidebars or in footer, you need to goto wp admin panel > widgets. There you will see areas, where you can place widgets ( in right area of the page ) and available widgets ( in left area of the page ). Simply drag and drop widget to the widget area you want, then configure widget settings, and you will see the result in your website. 2. 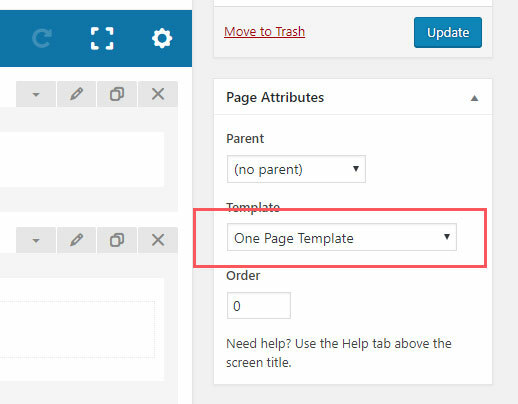 To create page you need to goto wp admin panel > pages > add new. 3. After adding page goto edit it, and you will see WPBakery page builder, switche to WPBakery page builder, there you can choose between Baclkend mode, Front-end more and Classic mode. Let's work in backend mode now. Now you can add any element you want, you can see tons of custom elements, created by us for this theme, each element have it';s own options inside, all is very intuitive and easy to customize. 4. When editing single page, under WPBakery page builder you can find page extended options area, there you will find all options that you can set for that page. It is header version, featured title style, background, general page layout and other options. 5. By imporing theme demo data, you import all pages, where you can see structures of elements, and how things are working, this is very useful. You can find different custom post types in theme, like gallery, portfolio, team memebers, testimonials, partners and others. 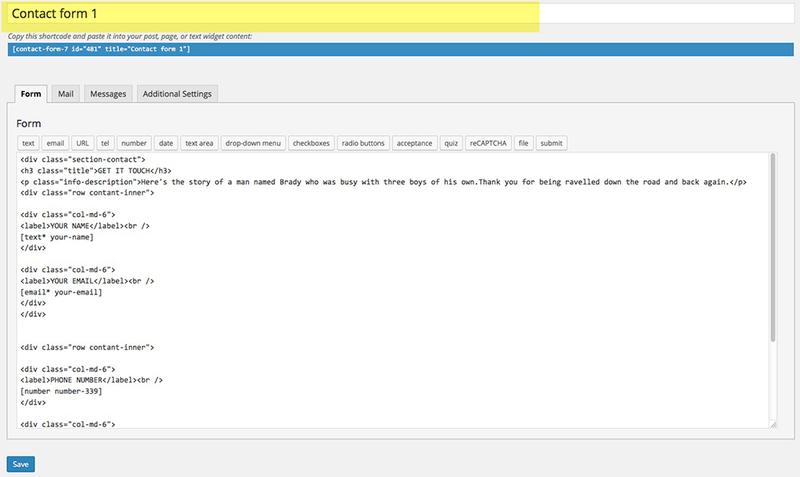 Custom post types are located in wp admin panel main menu and all they are easy to customize. Simply goto custom post types and add or edit existing single items for each custom post type. 4. Now you need to add created contact form to your page. Simply goto page editor - WPBakery editor, and in elements list you will find "Contact form 7 element". Add that element, choose your form from forms list and form will appear in your page. 1. Download latest version of theme ( full pack ). Unzip it and inside you will see theme zip file "plugins" folder and others. What is child theme ? Why to use a Child Theme? How to create Create child ? 1. Theme is compatible with "Mailchimp for wordpress" plugin. To make it working you need to place valid API key to wp admin panel > mailchimp for WordPress > API key form. 2. To get API key you need to have registered mailchimp account, login to your account, then goto https://admin.mailchimp.com/account/api and there you will be able to create your API key, copy it, paste to WordPress. 3. Now you can place your subscribe form anywhere you want as WPBakery page builder element. 1. Goto wp admin panel > appearance > widgets > and you can see "recent tweets" widget, which you can place in any widget area. But you can see that there are some data from twitter API that you need to set to make it working. 3. Sign in with your Twitter account and goto "My applications"
4. Press "Create new application" button. 6. If entered values are valid you will be taken to your oAuth settings page. Then click the “Create my access token” button. 8. And you need to add twitter channel for sure in recent tweets widget. For example if you want to add this channel "https://twitter.com/tutsplus", you need to sewt only username "tutsplus"
By default WPBakery is disabled for custom post types, like portfolio, team members, testimonials and others, and you will classic editor. To enable WPBakery page buiilder for your custom post types simply go to WPBakery Page Builder > Role Manager and under the user role you want to set the post types for you click “Custom” from the dropdown then check all the post types you want to use the Visual Composer on. Do it for "adminiatrator" section and for "editor" section as well. We are Ninzio Themes and we create premium web products. Ninzio Themes. All rights reserved.